An entertaining picture book that teaches the importance of asking for permission first as a young girl attempts to escape the curious hands that want to touch her hair.An entertaining picture book that teaches the importance of asking for permission first as a young girl attempts to escape the curious hands that want to touch her hair. It seems that wherever Aria goes, someone wants to touch her hair. In the street, strangers reach for her fluffy curls; and even under the sea, in the jungle, and in space, she's chased by a mermaid, monkeys, and poked by aliens... until, finally, Aria has had enough! 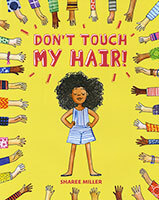 This humorous picture book speaks to a national conversation on strangers touching black hair (from Solange's song Don't Touch My Hair, to Phoebe Robinson's You Can't Touch My Hair), and sparks an important conversation on personal boundaries for children as Aria explains that her hair should not be touched without asking for permission first. 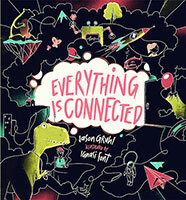 Commercial, imaginative, and fun, Don't Touch My Hair! can be used to teach young readers about personal boundaries and asking for permission--and that it's all right to be told no as well. 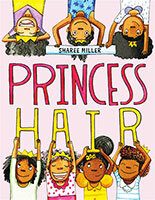 Author-illustrator Sharee Miller takes the tradition of appreciation of black hair to a fresh, commercial level, as she doesn't seek to convince or remind young readers that their curls are beautiful--she simply acknowledges black beauty while telling a fun, imaginative story.